Kingsley is a top-rate player. He?ll run again for the first time tomorrow. He feels good. We hope that we can build him back up so that he?ll soon be completely fit again. This is a good sign not only for the young player, but for Bayern?s depleted wings. The Bavarians have been playing with a rotation of three players on the flanks, two of them being Arjen Robben and Franck Ribery, and the other being a very injury prone Serge Gnabry. Coman?s dynamic pace and youthful energy seems exactly what this team needs. In an update video for Twitter, the young Frenchman is seen training on his left leg, which he injured in the season opener against Hoffenheim. 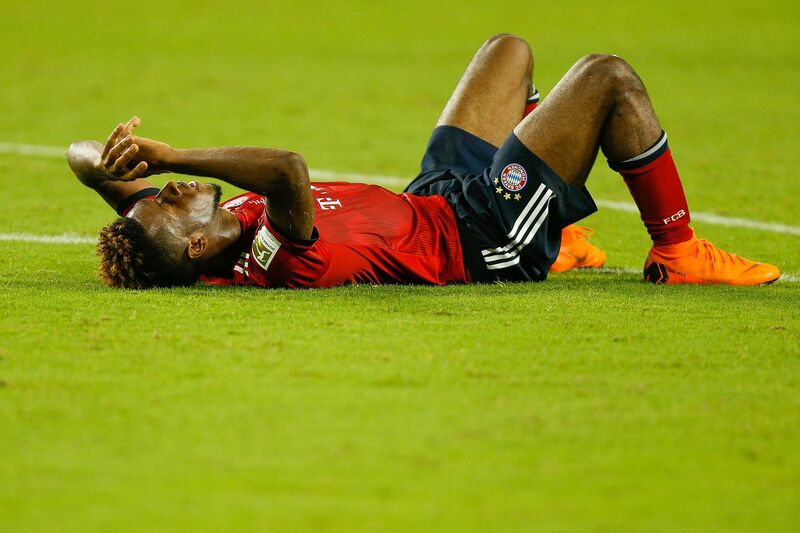 It was the same injury he suffered least season, which made him miss Bayern?s decisive game against Real Madrid in the Champions League semis. Fans and the coach will hope that this is the last time he has to deal with such a thing. Schritt für Schritt zum Comeback! Coman is expected to return to the team by December 1st, according to transfermarkt.